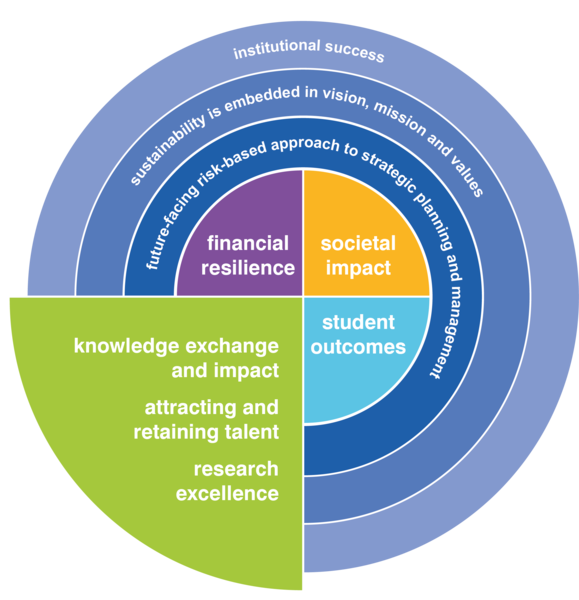 Research outcomes, income and profile are critical to the positioning of many higher education institutions. Universities that prioritise sustainability are better placed to build research partnerships, respond to funding priorities and deliver research with impact because sustainability, and its relationship with research and teaching, is of growing importance to stakeholders – including government, business and the third sector. Funders are increasingly looking to understand, and address, global societal challenges through research and innovation in the knowledge economy. 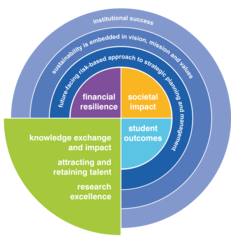 The Research Excellence Framework (REF) incentivises institutions to demonstrate impact on sustainable development, by explicitly assessing impact on society, economy, culture, environment, health and quality of life. 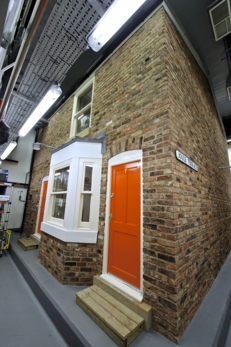 The Sustainable Development Goals provide a globally acknowledged framework for institutions to realise that impact and are of increasing interest to UK Research Councils and philanthropy efforts. Embracing sustainable technologies and improving the sustainability of estate operations also provides an opportunity to generate research income, by using the university as a Living Lab for testing and refining solutions to sustainability issues in a real-world setting. Are we undertaking impactful research that delivers on societal challenges? Can we show links between our research and teaching so we are ready for the TEF and REF? How sustainable is the infrastructure which supports our knowledge and innovation activities? Can we secure new sources of income by going into partnership with others for key sustainability projects?